+ HAVE WE MET BEFORE? First established in 1996, we’re finally reopen this after a fire from a neighbouring business burnt our iconic bar to the ground in 2013 . The World Bar of today is very different to the notoriously naughty World Bar of yesteryear though. 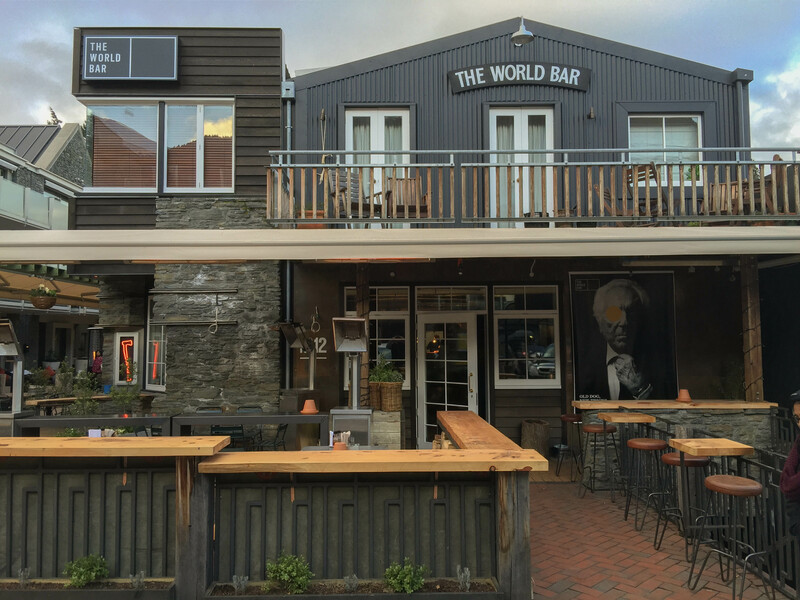 It still has the energy and air of mischief of the original bar but this old dog learnt some new tricks and is now the ultimate spot for après, food, teapot cocktails, craft beer (11 on tap alone) and all sorts of quirky events and night time shindiggery. The spot was designed ourselves with no designers or artists involved and we’re proud that everything was sketched, drawn, designed and thought of by these big old noggins of ours. 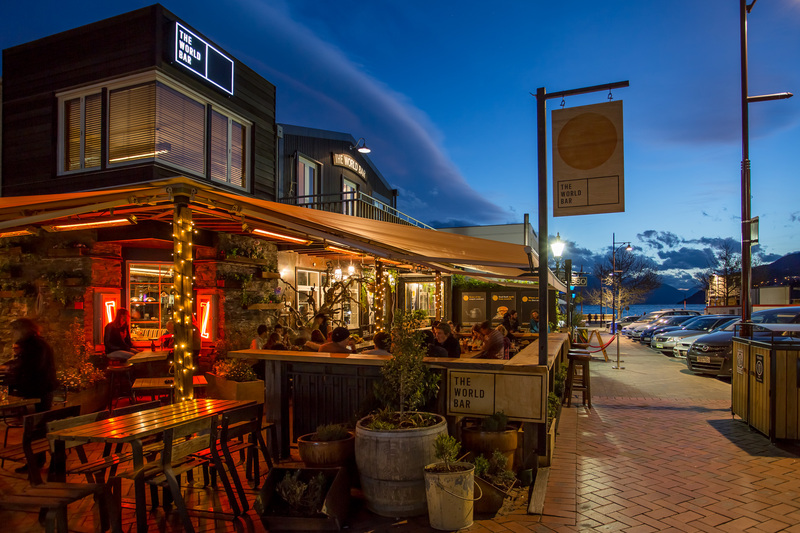 It feels real and is true to what we felt this place was and what Queenstown needed. So hopefully you’ll enjoy the love and care that has gone into creating this place. It wasn’t easy, a little stressful at times and it certainly was fun in hindsight! We’ve already hosted some incredible adventure film movie premieres, some banging parties with notorious DJ’s, live music both local and guest affiliated, pumped out burgers to the masses and relaunched our famous teapot cocktails. So whatever time you visit, we’re sure to have something special waiting for you. We’re a progressive bunch who like to keep it interesting and we’re not happy to settle for mediocre. So come get a proper burger, a real pint or check out some interesting local talent. 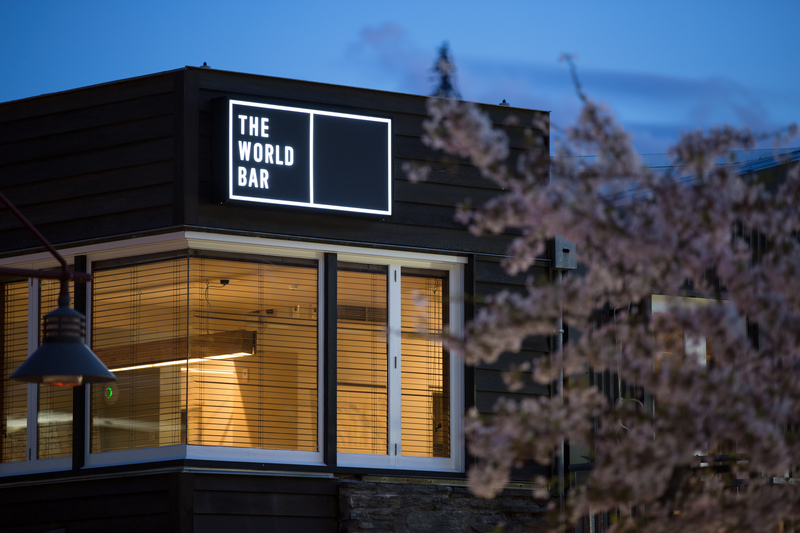 The World Bar is back and it’s a home for many. 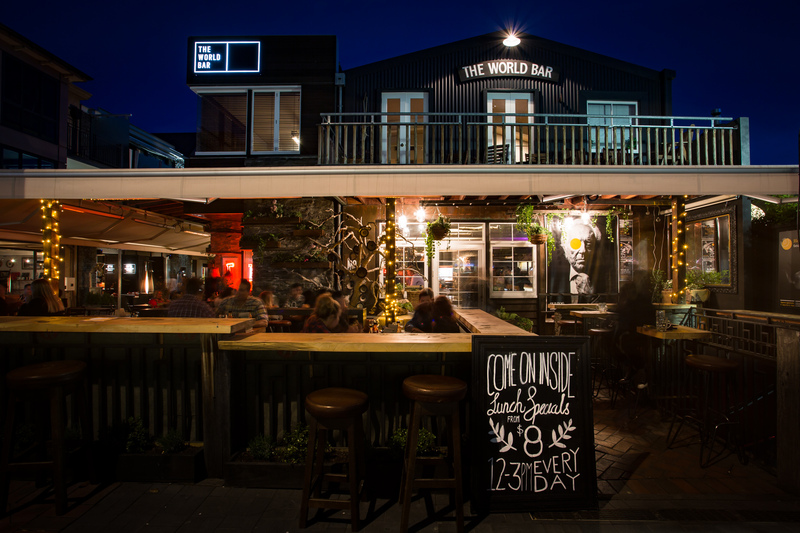 Now situated on a different site, No.12 Church Street, we’ve a spot that has a famous warm and cosy beer garden, a giant open roaring fire and is a well loved hangout spot for locals, travellers and friends alike.